Come view this gorgeous newly constructed townhome (built in 2016) that has been updated throughout with designer upgrades! This beautiful townhouse consists of 3 Bedrooms / 2.5 Baths, 1,741 sqft with a den/office on the first floor which could be used as a fourth bedroom or separate living room. This home is just minutes from Downtown Livermore, wineries, restaurants, and a great location for commuters with the 580 freeway nearby. 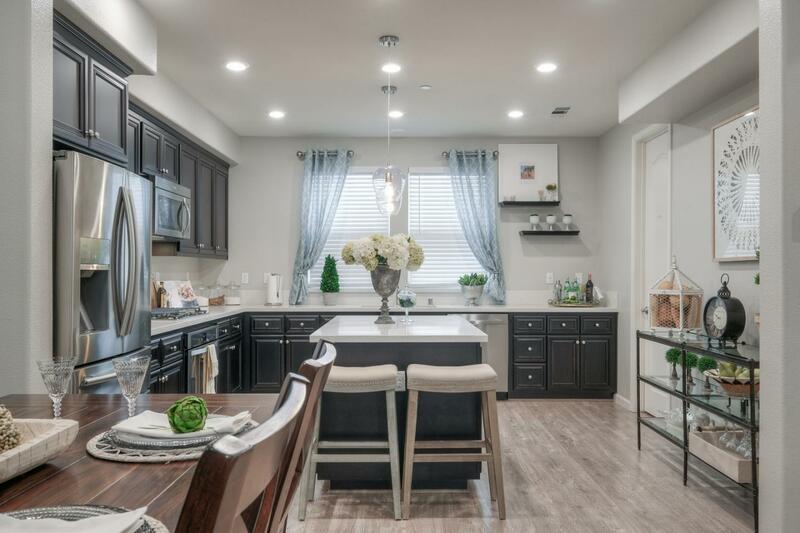 Upgraded quartz Caesarstone kitchen countertop with full back splash and large center island, pendant lights, stainless steel appliances, over sized pantry and hardwood flooring throughout. Attached two car side by side garage, recessed lighting, new interior paint, tankless water and low HOA dues with a community playground.